We´re looking to fill 300+ positions! 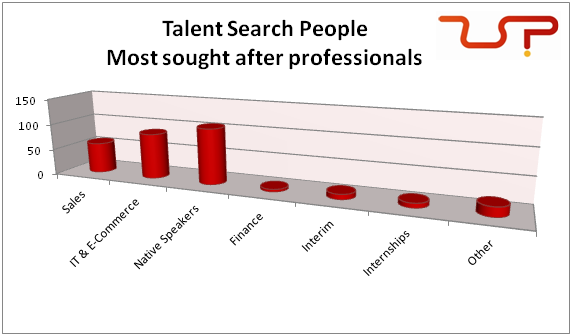 We know that many people are superstitious when it comes to the number 13, but here at Talent Search People we´re starting 2013 with a record number of vacancies on our website! 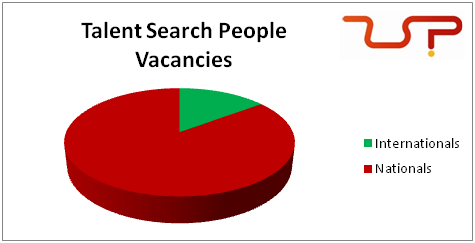 At the moment, we have 304 job vacancies that urgently need filling. Amongst those published, we have both national and international positions available across many industries. Within the international market, our clients are looking for employees to work mainly in the UK, Germany and Czech Republic, although there are many other countries requiring workers. Out of the 259 job offers that we have across Spain, the regions with the most positions available are Catalonia, Madrid, Valencia, the Balearic Islands and the Basque Country. That said, we are experiencing an increase in the number of offers published on our website for positions in other cities, such as Seville and Santa Cruz de Tenerife. If you are looking for a job, take a minute to visit our website and discover the positions we have on offer. We´re sure you´ll find an interesting vacancy; so get applying!